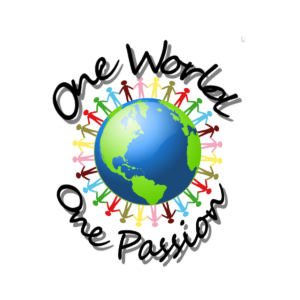 One World One Passion (OWOP) is DanceDaily´s social charity project. Our aim is to arrange free dance classes and donate dance wear (which we get from our customers via recycling project) to children. The thought behind this is to encourage young children from different families and cultural backgrounds to take part in dance classes. With this approach we would like to offer children a way to integrate themselves into the society and make new friends. DanceDaily is a part of Tampere City HIP (Harrastava IltaPäivä) program that gives fundings to arrange afternoon classes at schools. DanceDaily offers in Spring 2018 weekly Multicultural HIP dance classes at Tampere International School, where some of the students are experiencing their first year in Finland. Multicultural HIP-dance classes have also started at Tammela primary school. Multicultural HIP-dance classes are especially arranged with integration and social aspects in mind. We hope to help children to integrate, increase self-esteem and make new friends via dance. Any special dancewear needed at the dance classes or in the spring performance will be donated to children by DanceDaily. The Multicultural HIP-dance class project at Tampere International School and Tammela school is also a pilot research project in social aspects of dance in cooperation with Savonia University of Applied Sciences. DanceDaily has started to give weekly dance classes in April 2018 in Kauppi reception center in Tampere. The reception center dance classes are arranged in collaboration with WAU Ry (https://www.wau-ry.fi/). We are extremely happy to offer the children in the reception center the possibility to get familiar with the new culture and environment via dance. DanceDaily donates to the children in the classes dancewear that are either received via DanceDaily recycling project or new DanceDaily dancewear. We send out all of our products in packages which you can use to send your dance wear donations to us. We also collect dancewear for recycling together with our collaborators and outlet dance schools, KRV Dance in Kuopio and Studio Move in Tampere. We would be happy if you bring your old dancewear to our recycling baskets in KRV Dance and Studio Move. We hope to receive all kinds of dance wear and prefer washed and clean clothes in best case in children size. We're actively reaching out for possibilities to offer dance classes to children in cooperation with schools, dancing schools and funding organizations. The second step, which is in progress now, is expanding the dance classes at schools to several cities in Finland and Europe. We are planning to give free dance classes for children with the help of Finnish Ministry of Education and Culture and finally European union. This step takes a little bit longer since the funding application process at EU level takes time. We are following a two week (14 days) return and exchange policy.